I was back to my regular routine again last Thursday night with a trip to the Exeter Phoenix to photograph indie folk band the Villagers. I was of course joined by Steve from MusicMuso who will be posting up a full review of the gig on his site very soon. It was very busy at the Exeter Phoenix and it looked like a full house. Those music fans in through the door early were treated to an excellent solo performance from the very talented Luke Sital-Singh. 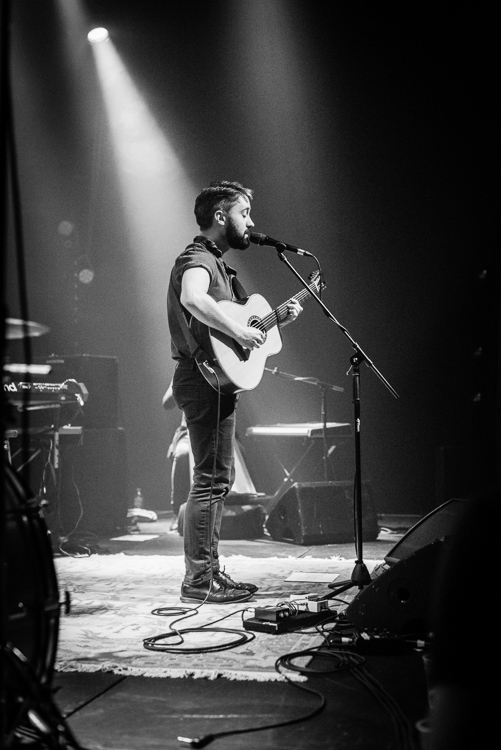 After Luke's solid performance the eager crowd were warmed up nicely for the main act of the night, the Villagers. It was a fine night of music and despite some challenging shooting conditions it was a pleasure being there to capture images of some very talented musicians. My next gig is UB40 on May 17th but I'm looking to shoot a couple of extra gigs between now and then. You can keep an eye on my schedule here, and please follow me on Twitter to see images posted live from the gigs I'm shooting. That's it from me on The Unplugged Blog, so I'll see you again very soon!